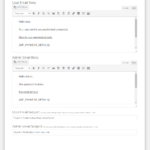 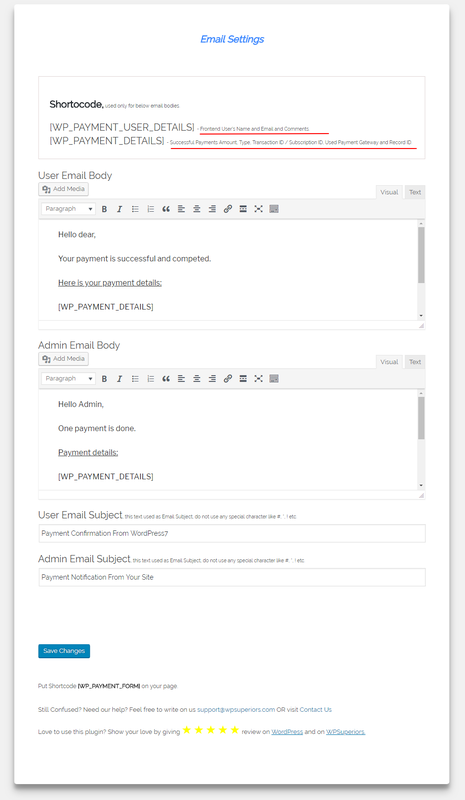 – Email Body, Shortcode available. 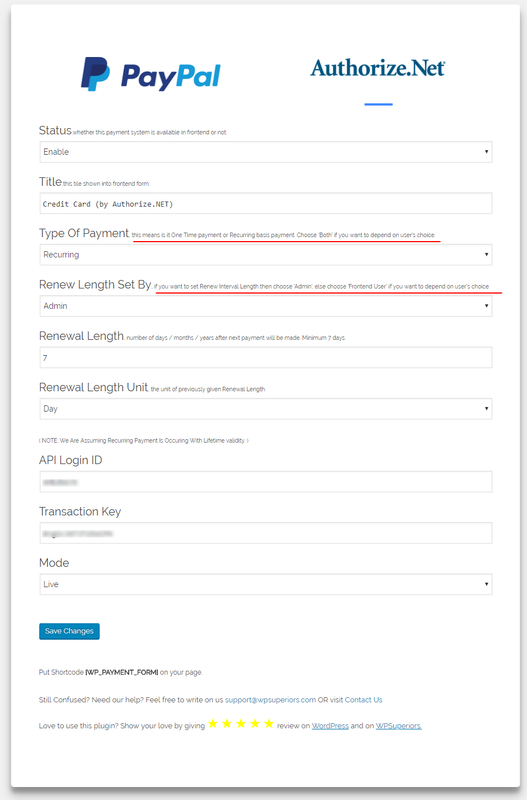 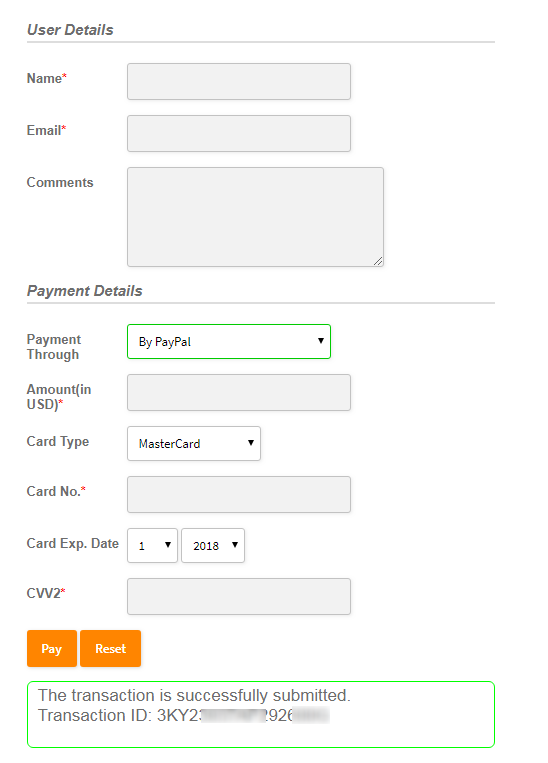 Can choose OneTime or Recurring payment (based on admin settings). 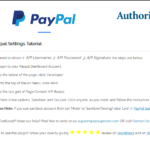 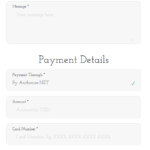 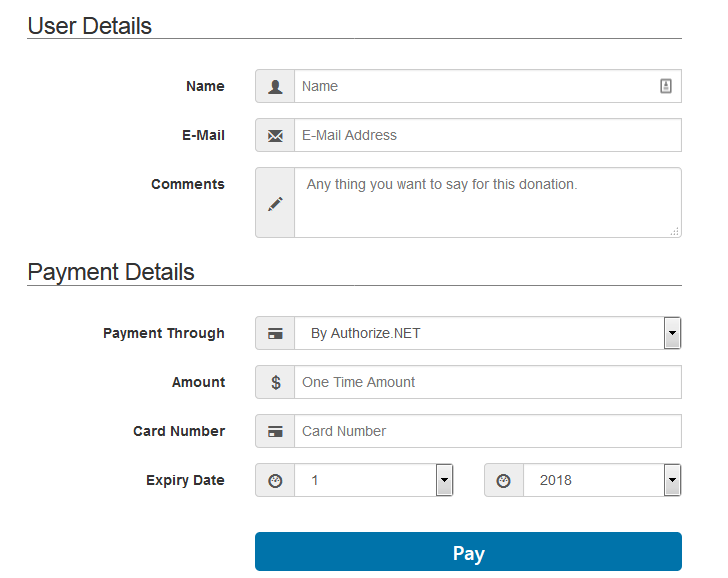 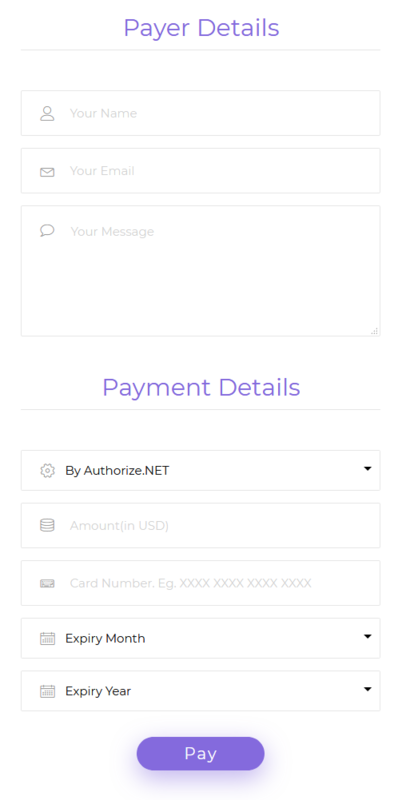 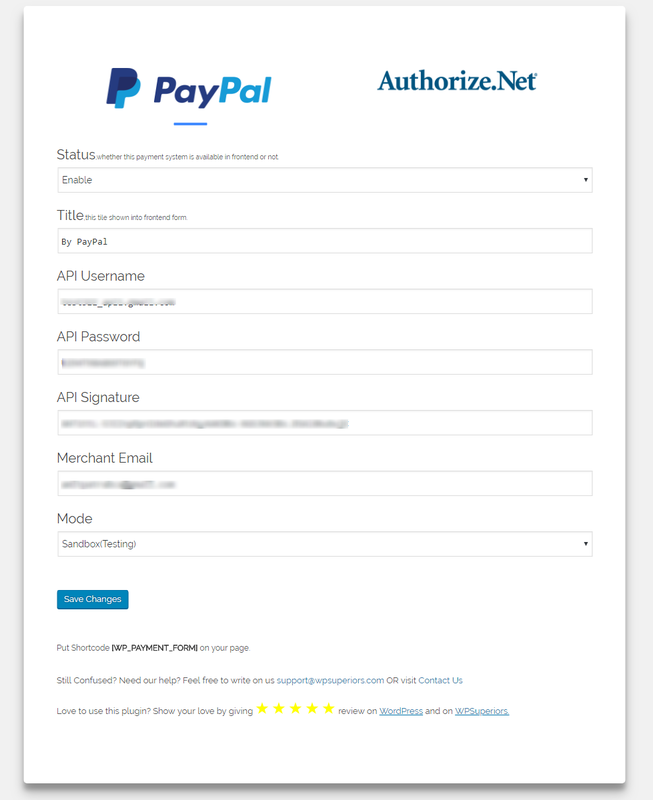 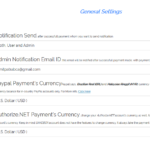 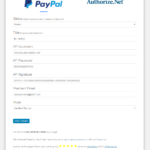 Can choose Payment Gateway, PayPal or Authorize.NET (based on admin settings). 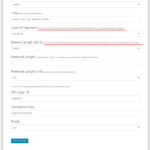 Can choose recurring interval length and unit, (based on admin settings). 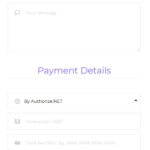 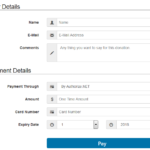 After successful payment, a message with Transaction ID or Subscription ID. 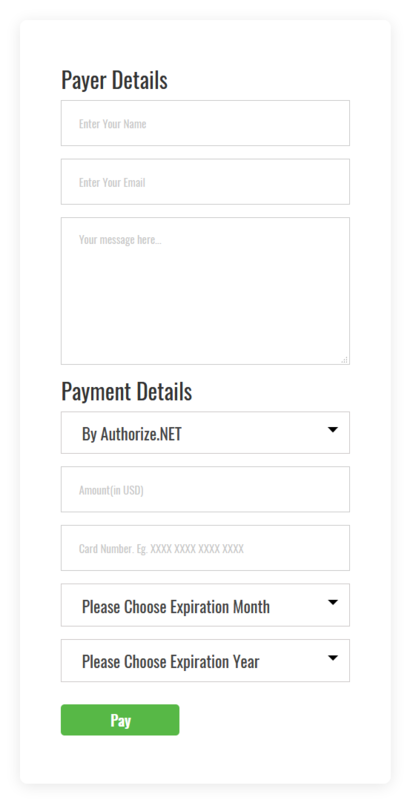 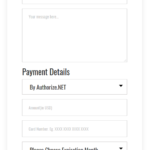 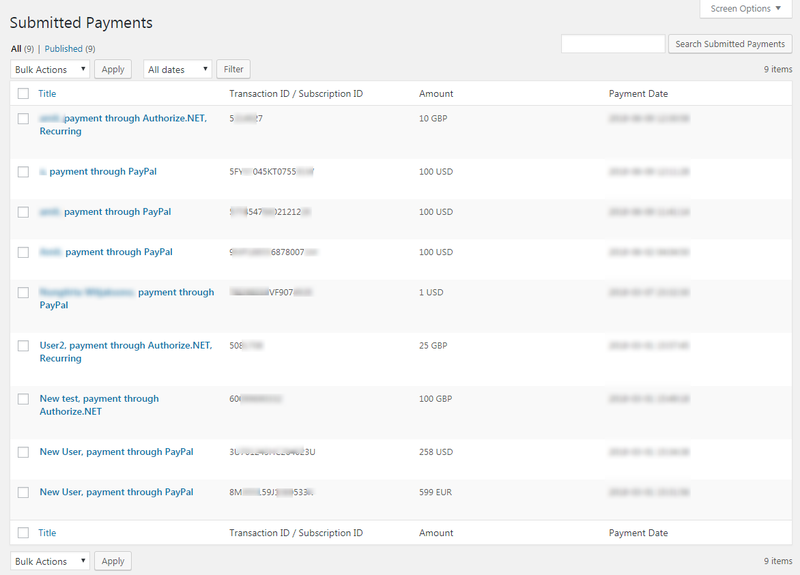 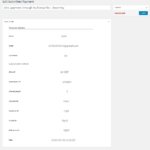 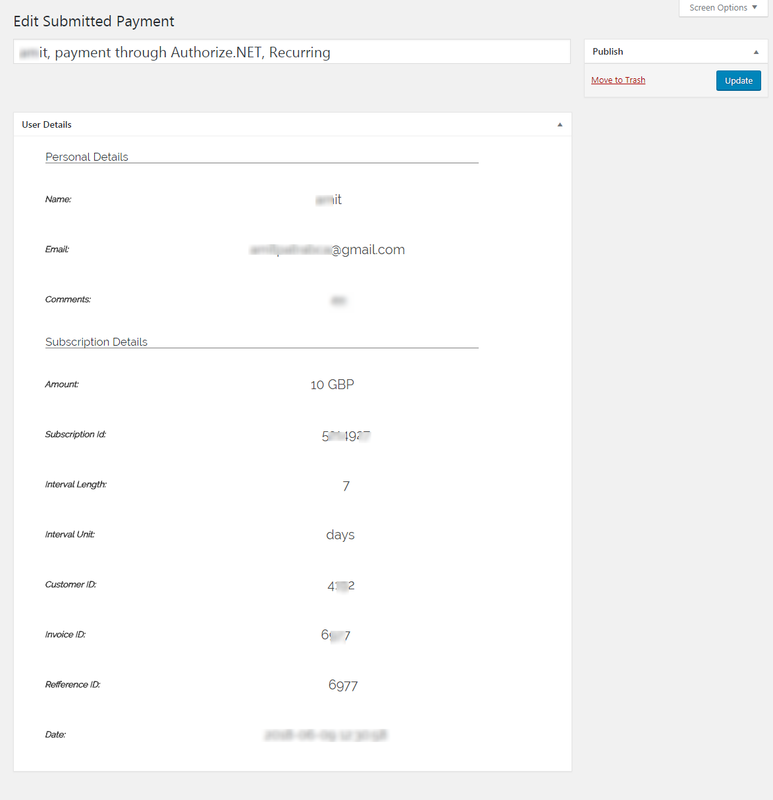 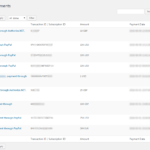 After successful payment, a notification email with payment details (based on admin settings). 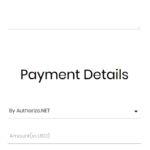 If payment is not successful, an error message with error details. 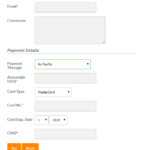 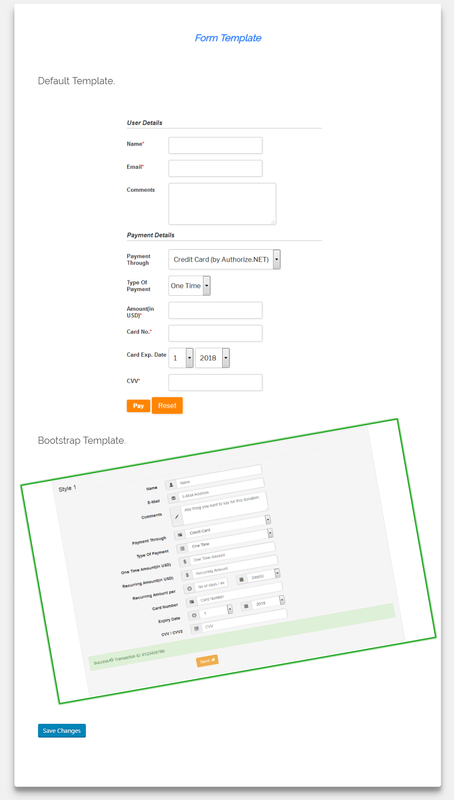 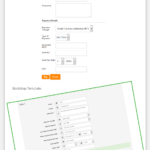 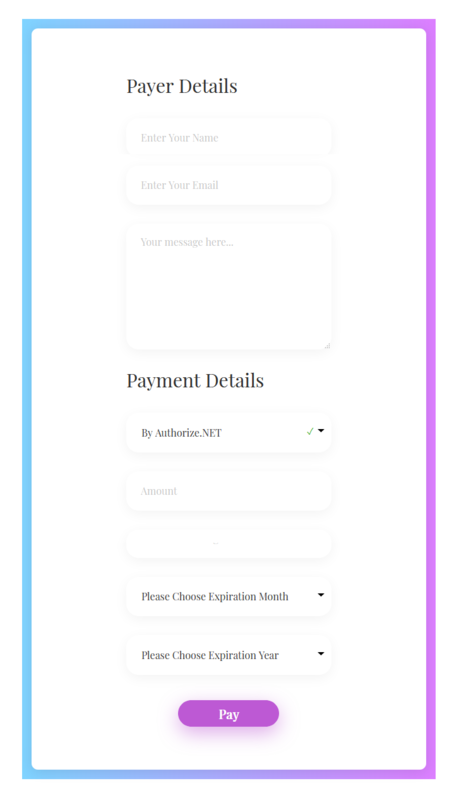 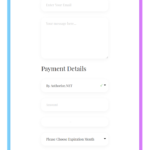 Inline form blank space validation.